For most people the ideal diet is 75 percent alkalizing and 25 percent acidifying. Scientists have discovered that the body fluids of healthy people are alkaline (high pH) whereas the body fluids of sick people are acidic (low pH). Balancing the pH is a major step towards well-being and greater health. A constant state of acidity can lead to heart disease, a stroke, cancer, skin disorders, auto-immune conditions, allergies and the list goes on. 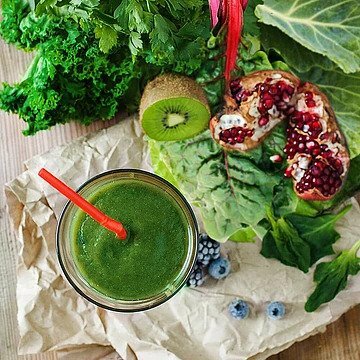 Alkaline foods are greens, like kale, swiss chard, spinach, mint, parsley and arugula, and acidic foods are your fats, meats, processed and packaged foods. Clenz does not prescribe, treat, or cure any medical disease or medical disorder.